This is another milestone for Philippines Stock Exchange (PSEi) Index and the Philippine economy. Our 24th record high for 2013 after we received the first ever investment grade debt rating from global credit rating firm Fitch. This could mean an opening of the floodgates of businesses, investments and job opportunities for Filipinos. Hopefully. Congrats to all Pinoy! This is the first investment rate grading in history. 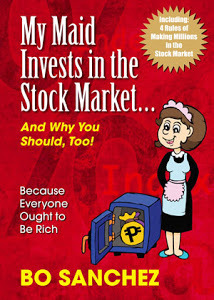 Let's brag about this and say, "It's really more fun investing in the Philippines!" "The Philippines achieved investment grade for the first time as Fitch Ratings raised its assessment, rewarding President Benigno Aquino for leading a growth resurgence after lagging its regional peers for decades. 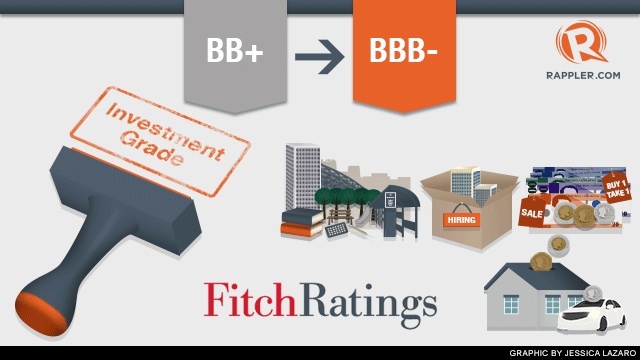 The rating on the nation’s long-term foreign currency- denominated debt was raised one level to BBB- from BB+, Fitch said in a statement today. The outlook on the rating is stable. “The Philippines’ sovereign external balance sheet is considered strong relative to A range peers, let alone BB and BBB category medians,” Fitch said, citing the net external creditor position. An exit from so-called junk status bolsters Aquino’s drive to transform the nation into one of the region’s fastest-growing economies 15 years after the Asian financial crisis of 1997-98. The upgrade may also boost capital inflows and complicate the job of the central bank as it tries to rein in an appreciating peso and curb asset bubbles." "The Philippine Stock Exchange Index (PSEi) posted its 24th record high for 2013 after the Philippines received its first investment rate grading in history. The PSE Index hit 6,847.47 points, up 182.35 points or 2.74% on Wednesday, March 27. This after the PSEi peaked at 6,872.14 on account of the country received its historic investment grade rating from Fitch. The All Shares index was at 4,234.31 points, up 70.60 points or 1.7%. Around 2.87 billion shares worth P12.92 billion changed hands at the local bourse on Wednesday. There were 110 shares that advanced, 44 declined, and 35 remain unchanged." So, What a credit rating upgrade means for Filipinos?